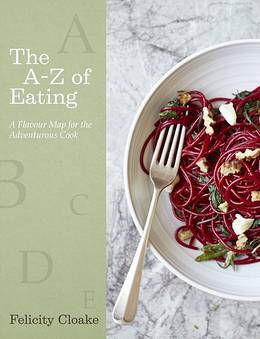 To celebrate the release of Felicity Cloake's new book, The A-Z of Eating, Anna from Fig Tree has been cooking from the book all week. 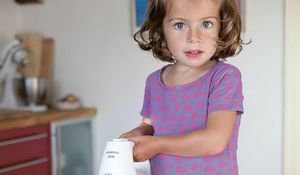 See how see got on below - the results look pretty delicious! I’ve never been to New Mexico, but I love Mexico, and Mexican food in particular is an obsession of mine, as you can tell by the napkins and cactus-stemmed margarita glasses in the above photograph. I’d never made a green chilli before, but this one was a revelation – more liquid than other chillis I had made before, but so flavourful. The recipe calls for tomatillos, which I happened to already have a tin of (a combination of my Mexican obsession and my souschef.co.uk obsession), but Felicity’s genius hack of a substitute if you don’t have any tomatillos is to use good old British gooseberries instead, which I’m desperate to try! I served this with some black beans, rice and sour cream, and while it was cooking I used the recipe as an excuse to make some guacamole to have with tortilla chips, and some frozen margaritas, too. Perfect Friday food. 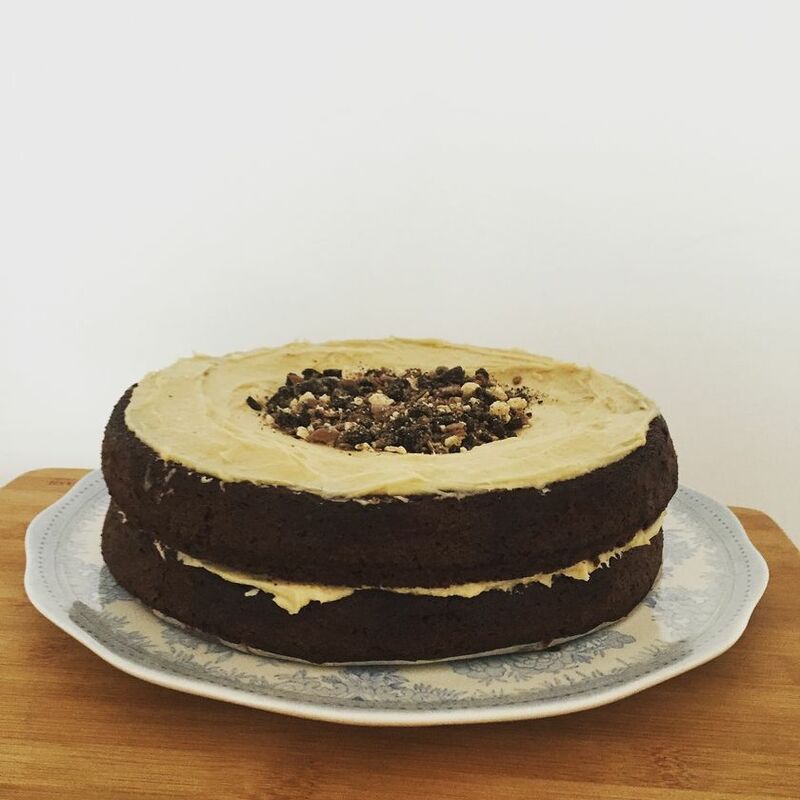 I made this cake for my mum’s birthday, and it was actually the second time I’d made the triple chocolate malt cake – it’s definitely my go-to chocolate cake now. 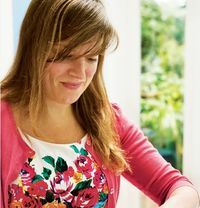 This is from the ‘Malt’ chapter of the book and the secret ingredient in both the cake itself and the buttercream icing is Horlicks, which gives it the most wonderful flavour. The cake itself is actually very simple to make, as is the icing, and it’s topped with crushed Oreos and Maltesers (very dangerous to have leftover Oreos lying around your flat, especially when you’ve recently made such a sizable indent into a triple chocolate malt cake, but this recipe is worth it). 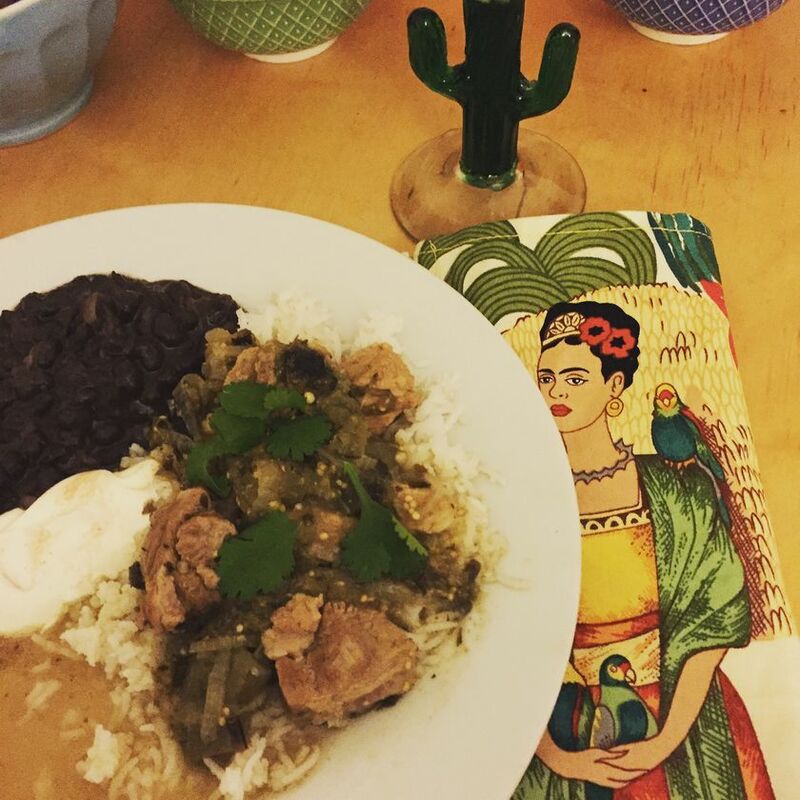 This is a favourite recipe of mine from the book, and fast becoming a staple dinner in my flat! 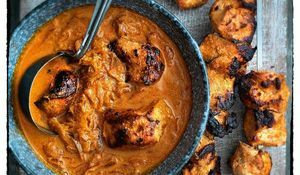 It’s deceptively simple, incredibly delicious and so beautiful-looking that it was chosen to go on the cover of the book. 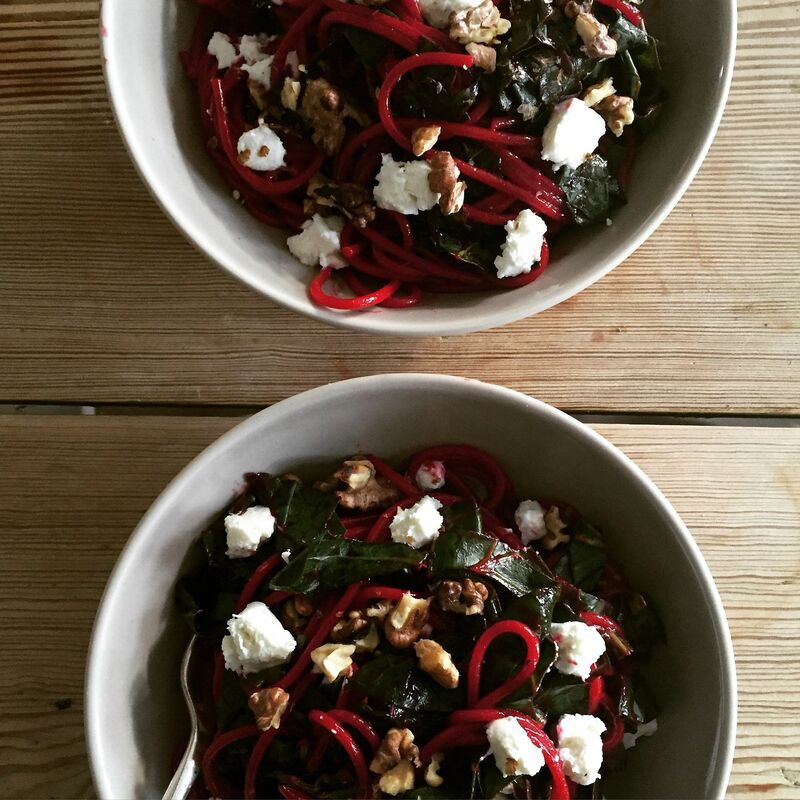 The ‘beetroot noodles’ are made by cooking ordinary spaghetti in beetroot juice – that’s what gives them such a beautiful deep colour, and also makes them utterly delicious, especially when combined with wilted baby kale (though I used spring greens, this time), goat’s cheese and walnuts. It’s no harder to make than regular spaghetti, but so much tastier and better-looking. 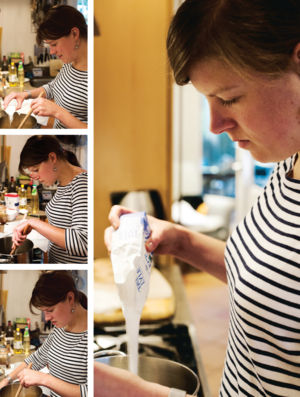 I hadn’t made confit garlic before this recipe called for it, and now I want to make it all the time. This recipe calls for two entire heads of garlic, which might sound extreme, but the cloves are then slow-cooked in olive oil for half an hour until they have softened and caramelized beautifully. As an added bonus, the leftover oil that the cloves were cooked in becomes wonderfully infused with garlic, and you can use the leftovers to make delicious salad dressings. 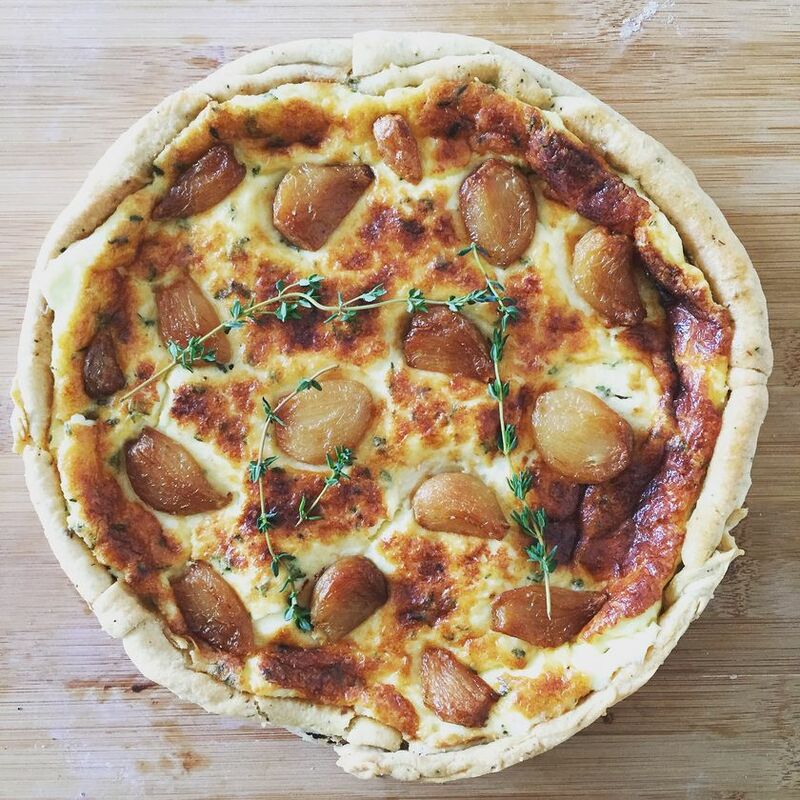 This is a recipe to make in two stages – I made the confit garlic and the pastry for the base the night before, and chilled both in the fridge overnight, but the resulting tart is so worth it. I had a slight mishap getting mine out of the tin, as the dent in the above picture will attest, but this tart was perfect with a green salad (and a winner in my packed lunch box the following day). 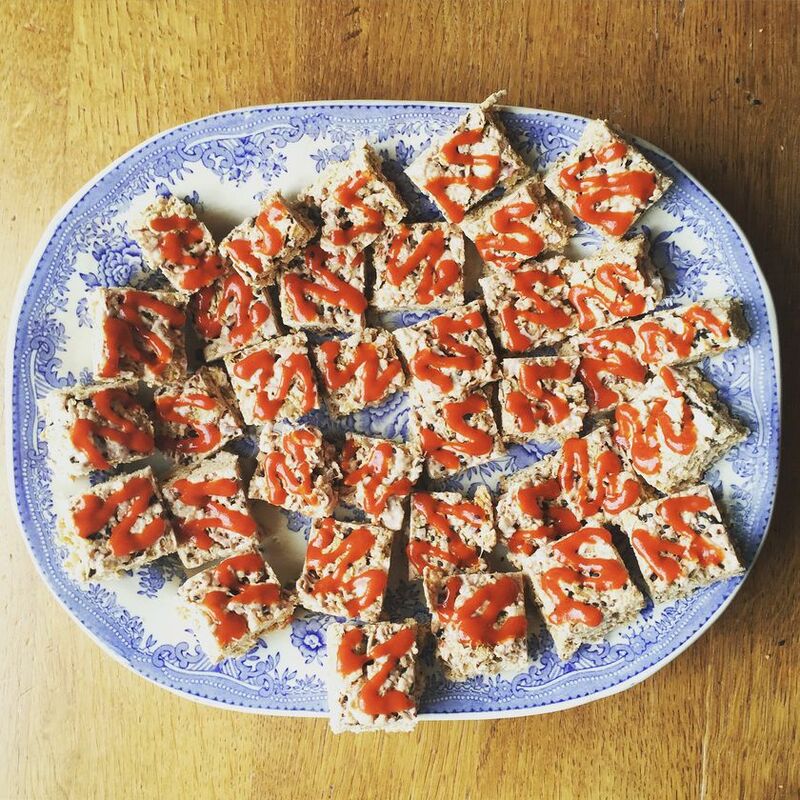 This is cheating, as these delicious sriracha cakes were in fact served at the launch party for The A – Z of Eating last night, and made by Felicity herself! In the introduction to the recipe from the book, she writes “in my experience, people are usually thrown by the first bite, and then several squares later are begging for them to be taken away”, and there was certainly always a large crowd hovering around them at the party before they disappeared. They are made like traditional cornflake cakes, only the cornflakes, in this case Special K (other crunchy cereals also work), is mixed with peanut butter, marshmallow and coconut oil, and then topped with a squiggle of sriracha chilli sauce: the combination of heat and sweet is completely irresistible.